I’m in far too deep now…despite a busy schedule with work and family life, I’m getting to the point where I’m starting to feel anxious if I haven’t drawn any cars in a while. I think part of the reason is because I’m finally starting to see some real progress with my sketching technique and I’m totally afraid to lose any of the skill I’ve picked up over the past few months. I declared way back in January that I had decided to become a great automotive artist, and despite a slow start, I feel like I’m making some real progress. Of course I’m still far from “great”, but I’m having fun picking up where I left off when I was a kid back in the 1980’s. 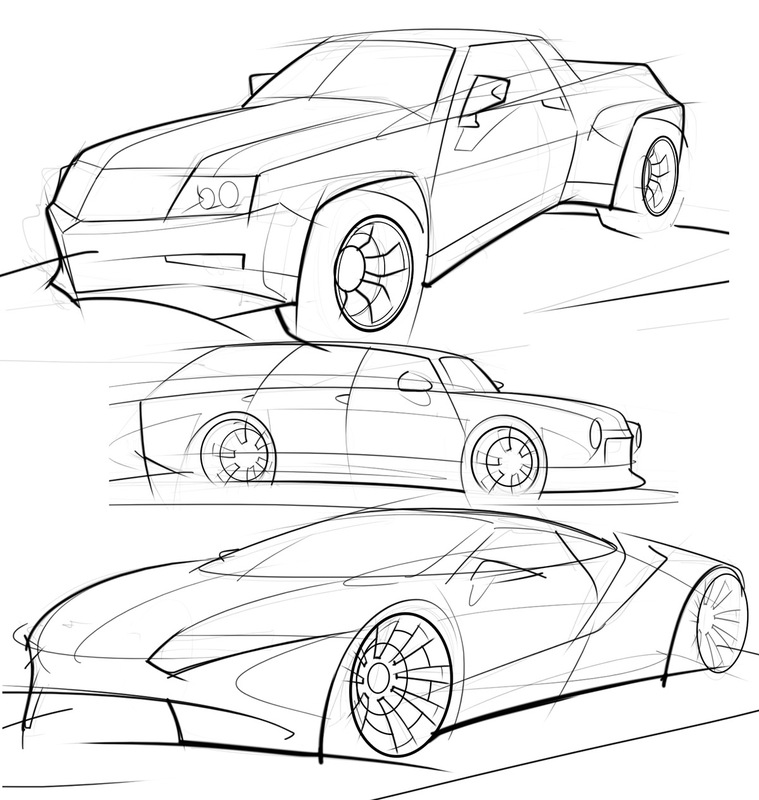 My automotive design style still has much to be desired (some of my proportions are cartoonish, I know), but the thing that I love practicing the most is my line work. Thick and thin line weights rock! 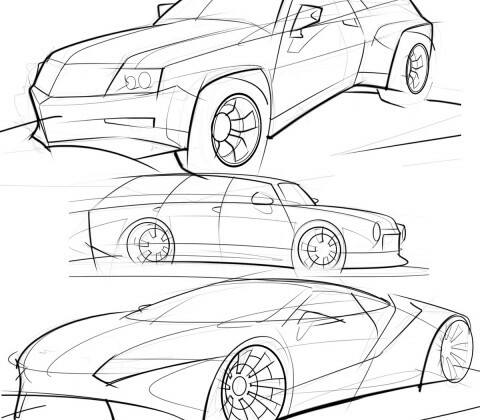 Line weight is so important when it comes to drawing cars – it’s probably different for everyone, but for me, I like to use varied line weight to give depth to my illustrations. Thick lines on the exterior edges define the boundaries of the car, while the thinner lines are reserved for detailing the little details and more delicate surface transitions. And drawn with enough speed, it’s easy to vary the weight across the distance of the line. This gives a look of more spontaneity to the drawing, and it takes a lot of practice, but I personally really like the results. Looking back on my progress from the beginning of the year, I know that my biggest problem now is proportion. I realize that my work is more conceptual than illustrative, but still. I need to get that under control. Details are another problem – I’ve got a really short attention span and it’s difficult for me to spend the time to detail out a sketch once I get the line work laid down the way I like it. All I want to do is move on to the next drawing! But I’ve been working on it a bit and you can see a bit more detail in these sketches than my previous ones I’ve posted this year.